Hard-up mums are being scammed out of cash by a young woman wearing a dressing gown who claims to be locked out of her house. 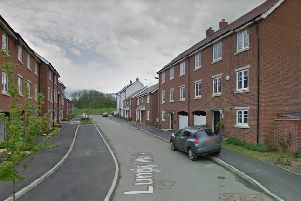 The conwoman, thought to be in her early 20s, has knocked on doors around the Walnut Tree area early in the morning. “I was totally taken in by her,” said one victim who ‘loaned’ her £45 cash to order a taxi and collect a spare key. The sympathetic single mum allowed the woman to use her phone to call her parents, whom she claimed had a spare key. There followed an elaborate scam during which the victim even spoke to the woman’s alleged father over the phone – and agreed to lend his daughter the money for a taxi to Toddington. “She said her mum worked at Toddington and had a key. The man claiming to be her dad said he was called Dave. He took my details and promised faithfully to transfer the money back to me that lunchtime,” said the victim. The conwoman went off in a taxi but minutes later the victim saw the taxi parked, minus its passenger, at the side of the road nearby. The money failed to appear in her bank account as promised and and phone calls to ‘Dave’ went unanswered. The Citizen called the number and a male answered saying he knew nothing about the mystery girl. The victim reported the incident to police but said they could not help. “They told me it was not a crime because I’d handed the money over willingly,” she said. Now, after reporting the scam on Facebook, three more people in the Walnut Tree area have come forward to say the same thing happened to them. The victims are this week hoping police will investigate. “That £45 was my grocery money for the entire week. I’m furious,” said one. They are warning other people to be on the alert and call police if suspicious.